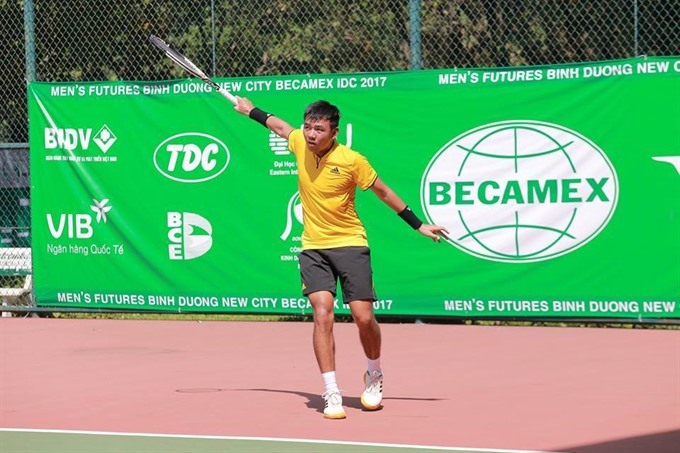 HÀ NỘI — Lý Hoàng Nam, the sole Vietnamese player left at the Việt Nam F2 Men’s Futures tennis tournament’s singles event in Bình Dương Province, has secured a berth in the quarter-finals. Nam, who is seeded No 6 here, yesterday defeated Mikalai Haliak of Belarus 6-3, 6-4 at the Community Sports Centre in Thủ Dầu Một City. It was an easy match for Nam, who ranked No 552 in the world. He needed only 70 minutes to beat Haliak, who is No 1,052.